From its beginning in 1891, Hawaiian Electric Co. has been deeply entwined with the economic, political and social history of Hawaii. 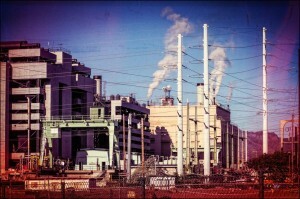 The federal government's takeover of Hawaii proved extremely fortuitous for Hawaiian Electric. So was the involvement of leading local families. Hawaiian Electric Co. saw its profits skyrocket as people began using newfangled electric appliances. Hawaiian Electric played a key role in Hawaii's economic recovery from the Great Depression. And then World War II hit the islands. 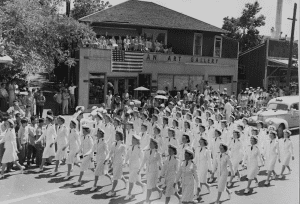 With a devastating war behind it, Hawaii embraced the promise of a bright future. And it needed HECO more than ever. Energized by statehood and a booming economy, Hawaiian Electric began to reach beyond Oahu for investors and investments. The Arab oil crisis brought a new awareness of the promise of renewable energy. But the spark fizzled. Hawaiian Electric was hooked on oil. 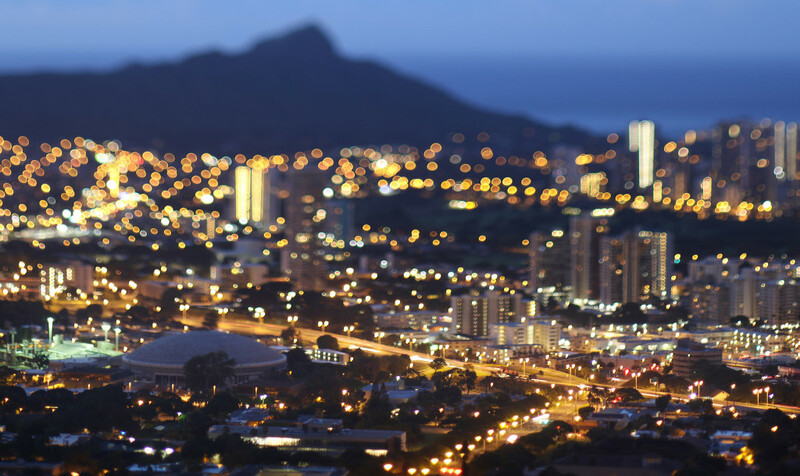 Hawaiian Electric leaders tried to turn an electric utility into an investment powerhouse. It didn't quite stick. When Gov. Linda Lingle pushed for sweeping renewable energy legislation, Hawaiian Electric pushed back. But Lingle eventually won. Hawaii political leaders and regulators didn't think selling Hawaiian Electric to a mainland company would help get the utility off oil. 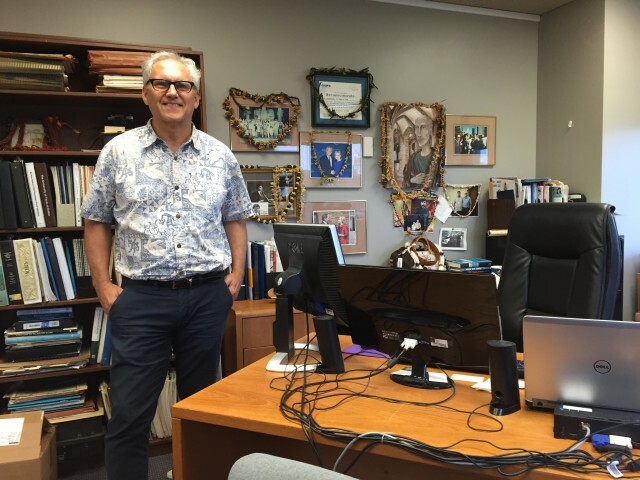 Part 11: What’s Next For The Company That Shaped Hawaii History? The president of Hawaiian Electric Co. discusses how the utility plans to get Hawaii to a 100 percent renewable energy future and the difficulties it faces. By the time Gov. Linda Lingle left office in 2010 after two terms, clean energy and Hawaiian Electric Co.’s role in getting the state off fossil fuel-generated electricity were at the center of public discussion, especially in political circles. Lt. Gov. Duke Aiona mounted an aggressive campaign to take over the state’s top job that was built in large part on the GOP administration’s successes. His plan called for the state to cut its use of oil in half within eight years — from importing 53 million barrels of oil every year to 26 million barrels. 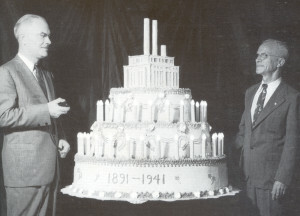 Aiona believed wind power could replace oil-fired generation. He was one of many in Hawaii who envisioned an undersea cable connecting Oahu to other islands, essentially a billion-dollar 65-mile extension cord. Wind farms on neighbor islands, primarily Lanai and Molokai, would generate power for Oahu, where more than two-thirds of the state’s population lived. Hawaiian Electric Co. was created in 1891 and has been entwined in Hawaii’s economy and politics ever since. It obtained exclusive rights to provide electricity in Honolulu shortly after the Hawaiian Kingdom was overthrown. 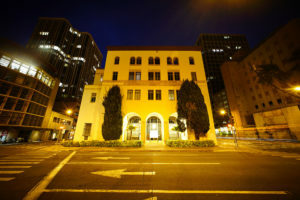 The company grew rapidly as the state grew, helping steer the development of Oahu and pulling Hawaii through economic hard times, two world wars and statehood. Its reliance on oil to power generators became a problem that persists today. Still, Hawaiian Electric Industries banked on big investments around the world and at home. But it took a Republican governor to force a commitment to renewable energy. The 125-year-old company is moving in that direction despite a failed takeover bid by a mainland suitor. The so-called Big Wind proposal, introduced by the Lingle administration, was embraced by businesses and residents of Oahu, but vehemently opposed by people on Lanai and Molokai who didn’t want dozens of giant wind turbines mucking up their islands just so Oahu could have cheaper electricity. Customers on those islands paid far higher rates for power than people in the county of Honolulu. The 2010 governor’s race saw another candidate who had big dreams of advancing clean energy even further. Congressman Neil Abercrombie had spent the past 20 years in Washington, D.C., representing Hawaii’s 1st Congressional District. In 2010, he gave up the seat to run for governor with a vision of creating a Hawaii Energy Authority that would oversee renewable energy efforts. In November 2010, Abercrombie and running mate Brian Schatz defeated Aiona and his lieutenant governor candidate, Lynn Finnegan, with 58 percent of the vote. With Big Wind still very much a part of the state’s energy plan, Abercrombie moved into the governor’s office in December. He was immediately faced with a surprise — the state’s fiscal condition was much worse than he’d been led to believe by the Lingle administration. Abercrombie’s plan for a new state agency to oversee the transformation to renewables took a back seat to what he believed were more pressing issues in the face of fiscal disaster — strengthening education and upgrading the state’s woefully outdated information technology. 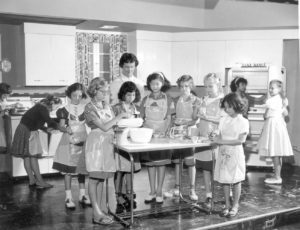 Even social services would have to be carefully scaled back, the longtime Democrat feared. It was a detour from the path set by the Lingle administration and the success of the Hawaii Clean Energy Initiative. 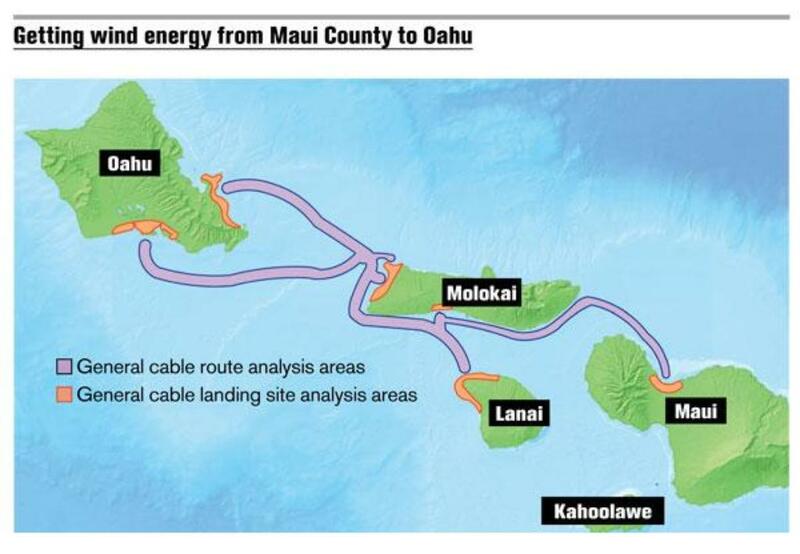 For a time, state and utility officials envisioned connecting the islands with an undersea interisland cable that would allow them to share power from wind farms on Molokai, Lanai and Maui. Ted Liu, head of the state Department of Business, Economic Development and Tourism under Lingle, says Lingle left an energy plan that included innovative ideas to spur the rise of biofuels and the installation of a smart grid. “Literally, there was a document called ‘The Road Map.’ We thought that Abercrombie could follow it,” says Liu. Still, Hawaii’s dependence on oil loomed like a ticking time bomb, and clean energy advocates, including those at Hawaiian Electric Co., tried to find ways to move Big Wind along. In an Independence Day column published by Civil Beat in July 2010, Congresswoman Mazie Hirono urged Hawaii to take the lead on moving to renewable energy. 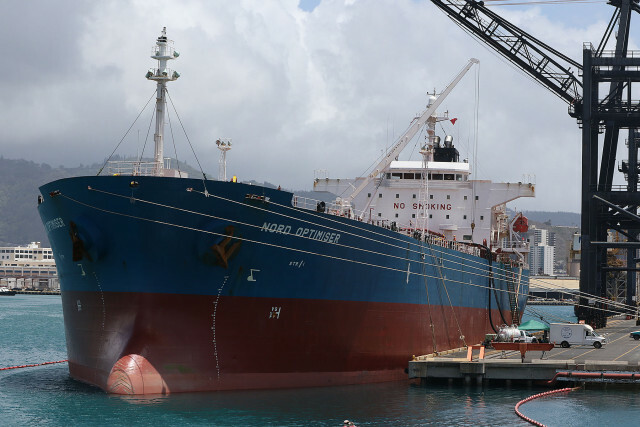 HECO relies on crude oil imported from Asia to power many generators that produce electricity. High oil prices equal high electric rates. This tanker is docked at Sand Island. On March 11, 2011, Pacific and Eurasian continental plates slammed into each other 15 miles beneath the ocean northeast of Japan triggering a magnitude 9 earthquake and a massive tsunami. Waves up to 128 above sea level washed over coastlines in northern Japan, finally trickling out miles inland. Japan’s confirmed death toll reached at least 15,891 — many people were never accounted for. Analysts put the cost of the catastrophe, including the meltdown at the Fukushima Dai-ichi nuclear power plant, at around $300 billion. Amid fears they wouldn’t resist additional quakes, authorities pulled other Japanese nuclear plants out of commission. To compensate, they brought decommissioned oil-burning plants back on line. 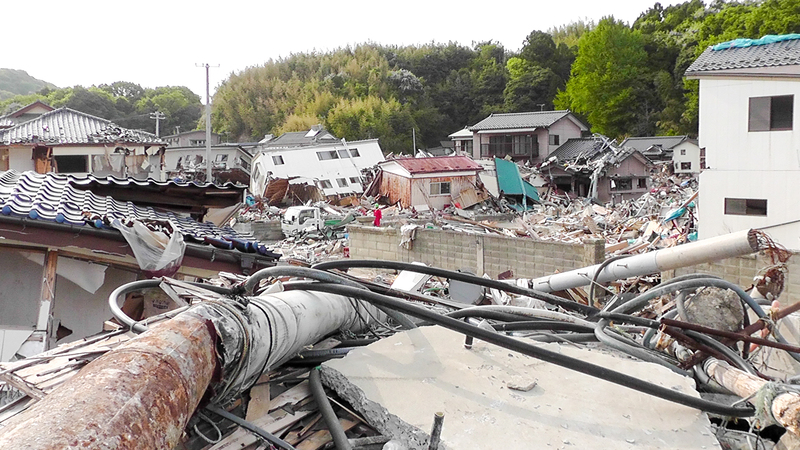 On March 11, 2011 a massive earthquake and tsunami devastated many parts of Japan, including this region of Ohama Miyato. The country shifted from nuclear power to oil generators, driving up the cost of electricity for Hawaii. Japan dived head on into Asia’s market for low-sulfur oil — the very same fuel Hawaiian Electric Co. needed to power its generators. A desperate nation was ready and willing to outbid other customers, and the price of that oil nearly doubled. 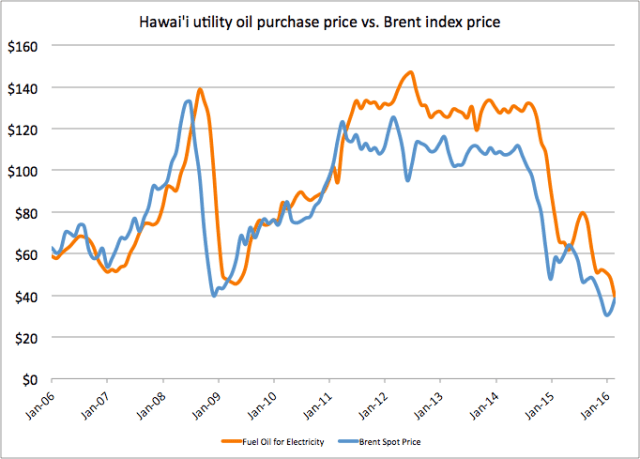 Beginning in 2011, Hawaiian Electric paid between $124 and $138 per barrel — a price that would stay in that range for years. HECO’s decision to switch to the low-sulfur oil produced in Asia more than four decades earlier came home to roost. It couldn’t simply buy a more affordable type of oil such as that available to other parts of the U.S., according to Alm. Previous price spikes tended to be linked to geopolitical conflicts, like the Six-Day War or the Gulf War, or other events that had fairly short-term consequences. At first, customers understood that their electricity costs were going up because of an epic tragedy in Japan. The orange line was the price of oil used by Hawaiian Electric to generate electricity before and after the Fukushima catastrophe. The blue is Brent crude oil. The disconnect came after Japan began to purchase large amounts of oil that Hawaii bought from Asian markets to generate most of its electricity. In 2011, the cost of producing renewable energy was dropping rapidly with companies in Asia leading the way. The price of rooftop solar panels, for instance, had begun to cascade in 2008 and would fall 85 percent over the next seven years. Big Wind was starting to look more and more doubtful. The opposition to wind farms on Molokai and Lanai was gaining traction with supporters in the Legislature and state government. Wind farm developers on Molokai had failed to secure the land needed for numerous wind turbines and energy officials began to eye geothermal on the Big Island as another possibility. 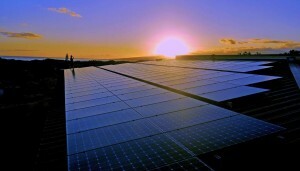 Still, Hawaii’s renewable energy sector was beginning to blossom. 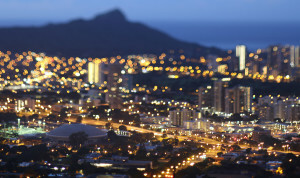 In November 2011, Abercrombie signed a deal with Japan to build a smart grid on Maui, a project that South Korea would later join. The Kauai Island Utility Cooperative was moving forward with an $11-million program to put smart meters in thousands of homes on the island. Electric vehicles were becoming more common on Oahu as HECO installed EV charging stations in more and more places. Solar panels were going up on rooftops throughout Oahu, reducing electricity costs for those who could afford the hefty initial purchase, to just a few dollars a month afterward. In 2011, the Hawaii Legislature helped jumpstart the spread of rooftop solar by allowing homeowners to gradually pay off their systems rather than having to spend tens of thousands of dollars to buy one outright. “That opened up an entire new market,” says Jeff Mikulina, the executive director of the clean energy advocacy group Blue Planet Foundation. Falling prices and legislative changes made it easier for Hawaii residents to install solar systems. That’s not “when your crazy uncle off the grid gets it; it is when your neighbor does,” he says. The next two years brought great optimism for the promise of renewable energy in Hawaii. With the state in better financial shape than when he’d taken office, Abercrombie continued to push for clean energy programs and projects. In 2012, he named Lt. Gov. Brian Schatz as the state’s first energy czar, tasking him with overseeing the state’s push toward the Hawaii Clean Energy Initiative’s goals of 70 percent renewable energy by 2030. New winds farms on Maui and Oahu began to take shape. In 2012, the Legislature put in place a framework for an interisland cable even as opposition continued from the neighbor islands and the island of Lanai was sold to billionaire tech industry mogul Larry Ellison, suggesting plans for a wind farm there had been abandoned. The Kahuku wind farm on Oahu was one of the new renewable projects envisioned under the Hawaii Clean Energy Initiative. It began operations in 2011. Hawaiian Electric continued to seek other renewable projects including biomass, geothermal and even wave technology. The state became a leader in solar installations, topping the nation in per capita rooftop solar. Jobs in the energy sector brought a welcome boost for the state’s economy. All in all, a thriving market was being created, says Mark Glick, who became the head of the Hawaii State Energy Office in October 2011. But conflict between the growing solar sector and the state’s largest utility soon boiled over. Solar companies wanted to install as much rooftop PV as they could, in large part to take advantage of lucrative federal and state tax credits. HECO wanted to go slow, unsure what the addition of so much solar power would do to its aging grid. The utility also was, in essence, losing customers as more and more people generated their own power from the sparkling blue panels mounted on their roofs. 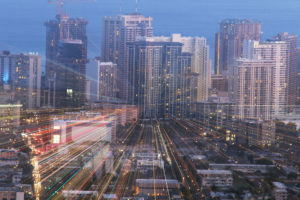 Homeowners and solar installers were more and more being asked to foot the bill for studies about the viability of connecting individual systems to the grid, something that could cost a homeowner thousands of dollars. 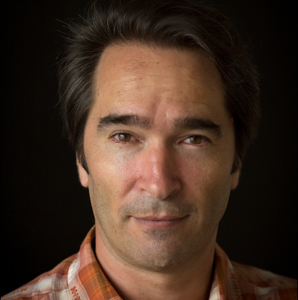 Mark Glick is the head of the Hawaii State Energy Office. He’s been in the job since 2011 and has seen the renewable energy market blossom in Hawaii. Alm says part of the problem with rooftop solar was that no one knew how much the system could handle. Each time the utility allowed more rooftop solar into the power system, it discovered it could handle more of it. In 2013, the state put limits on the solar tax credit program that had fueled much of the growth in home systems. Some solar companies applauded the move, saying the tax credits had served their purpose. Other companies and some environmental groups cried foul. HECO began to run into trouble getting its plans through the Hawaii Public Utilities Commission. For the first time, the agency rejected the utility’s five-year plan, a process that the company and a panel of dozens of people with an interest in the utility’s business had worked on for more than a year. The planning process had cost ratepayers $11 million. Some 120 years after Hawaiian Electric Co. had muscled its way into the very fabric of life in Hawaii, after decades of helping steer development and economic growth, the state’s largest and some would argue most-influential company appeared to be losing some of its political clout. And then another political shakeup occurred that would have profound consequences for Hawaiian Electric. 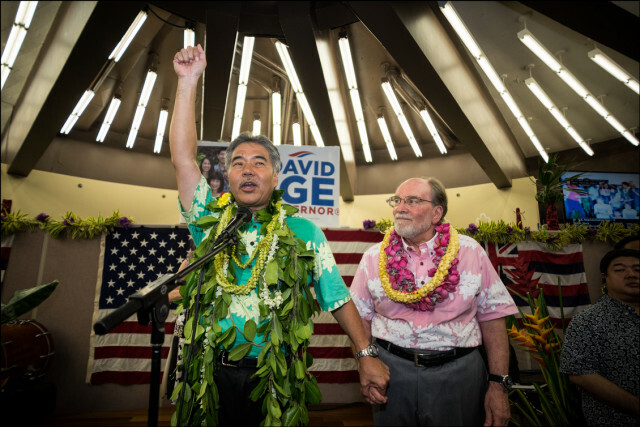 Then-Sen. David Ige, left, defeated incumbent Gov. Neil Abercrombie in the August 2014 primary. It was one of the biggest political upsets in the history of the state. In August 2014, a little-known state senator shocked Hawaii’s political establishment by beating incumbent Gov. Neil Abercrombie in the primary election. It was nearly unprecedented for a sitting governor to be knocked out in his own party’s primary, let alone by an opponent who was virtually unknown to most voters. 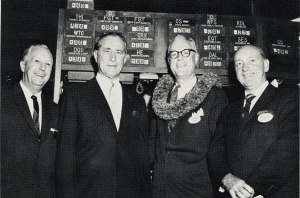 Hawaiian Electric executives were early and large contributors to Abercrombie’s bid for re-election. Hawaiian Electric Industries CEO Constance Lau, for instance, pitched in $5,000 to the governor in June 2012. In October 2014, well after the August primary, she gave nominee David Ige’s campaign $1,000, according to state campaign finance records. In fact, the only Hawaiian Electric executive who supported Ige appeared to be HECO President Richard Rosenblum who gave $1,100 to Ige’s campaign in late July 2014, just days before the Aug. 9 primary. By then, political polls showed Ige with an unbelievably large lead over the incumbent Abercrombie. But Alm’s presence in the governor’s office didn’t seem to help HECO, especially when it came to the biggest deal in the utility’s history — the proposal by a Florida utility giant to buy Hawaiian Electric Industries for $4.3 billion. 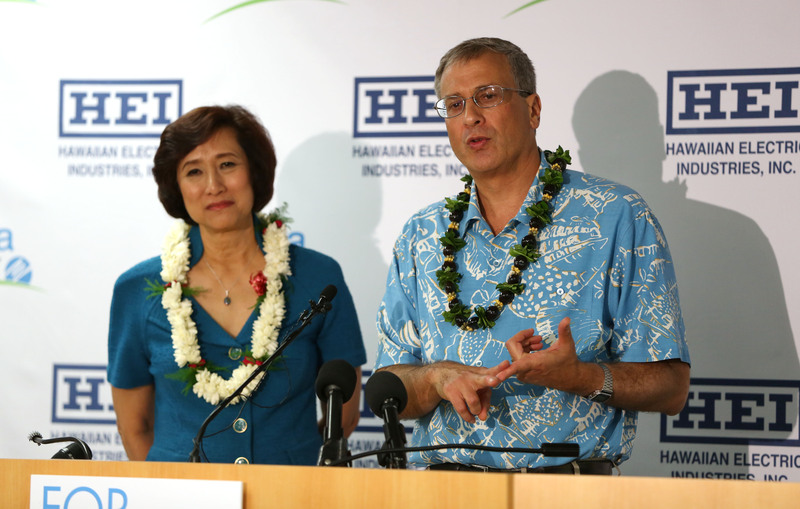 Jim Robo, chairman and CEO of NextEra Energy, and Constance Lau, president and CEO of Hawaiian Electric Industries, announced an agreement for NextEra to take over HEI at a press conference, December 2014. In December 2014, NextEra Energy and Hawaiian Electric called a press conference to announce the proposal. Within months, the deal was facing stiff opposition from environmental groups and others. The solar industry in particular stood to lose a significant amount of business if NextEra took over and succeeded in reducing costs to ratepayers. The solar companies mounted an aggressive lobbying and public relations campaign against it. But perhaps the most important opponent was Ige. He was not convinced NextEra’s plan for Hawaiian Electric was in the best interest of the state and publicly questioned whether NextEra was really committed to Hawaii’s renewable energy goals. Soon after taking office, Ige had appointed former lawmaker Randy Iwase to head the Hawaii Public Utilities Commission. Iwase replaced Mina Morita of Kauai, who had become a favorite of clean energy advocates in her time as commission chair. 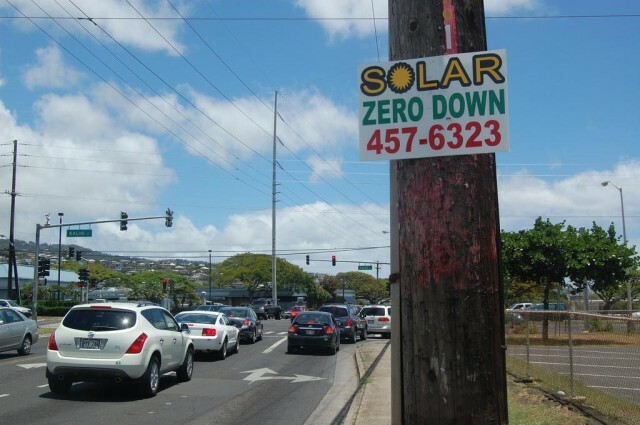 The public also wasn’t thrilled with a NextEra takeover of Hawaii’s utility. Opinion polls, including a Civil Beat poll in February, consistently showed a majority were opposed to the merger. In a sprawling regulatory process that continued until last month, the Public Utilities Commission led by Iwase sought to assess whether NextEra’s purchase would be in the public interest and significantly help the company bring its aging systems into the future. 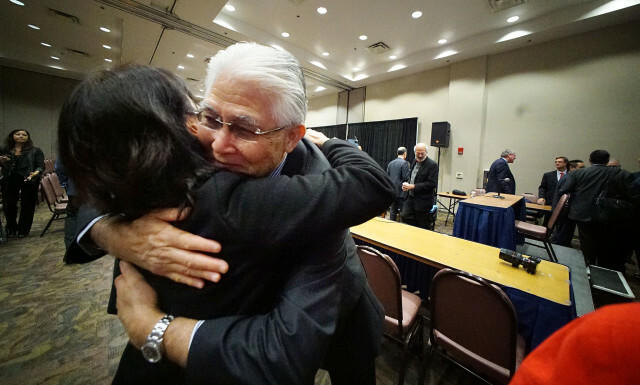 HECO President Alan Oshima was happy to see the end of a months-long hearing process into whether his company could be sold to NextEra Energy of Florida. 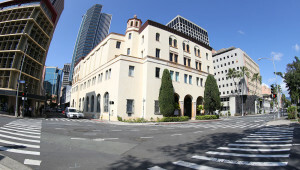 In the end, the Public Utilities Commission said no. On July 15, the commission rejected the deal, saying — as Ige had contended all along — that NextEra hadn’t shown there would be enough concrete benefits for customers and the state. NextEra paid Hawaiian Electric $95 million — a “break-up” fee which had been agreed to if the deal fell through — and walked away, also withdrawing from a number of smaller energy projects in Hawaii. That leaves Hawaiian Electric to go it alone — or perhaps reach a deal with another company. Ige has said others are interested, but he hasn’t revealed who. Local energy advocates including some lawmakers want to see the company split into smaller pieces that would operate local utilities on Maui and the Big Island, much as Kauai does. 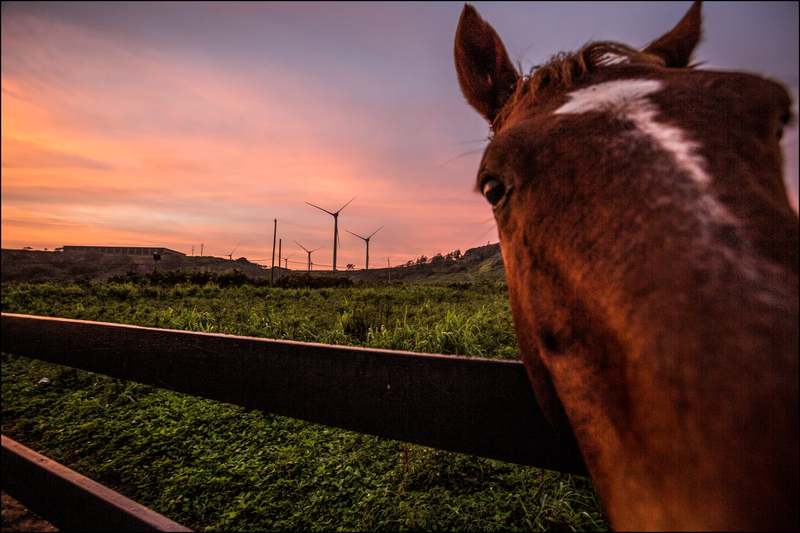 Today, HECO still faces profound questions about how to reconcile its aging equipment with the state’s ambitious renewable goals without breaking its bank. How can Hawaiian Electric ramp up its renewable effort and improve its outdated electric system? Next: Hawaiian Electric Co. President Alan Oshima talks about what’s ahead for the company. 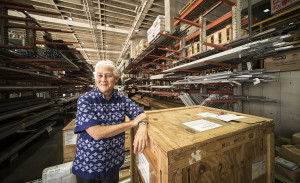 What’s Next For The Company That Shaped Hawaii History?